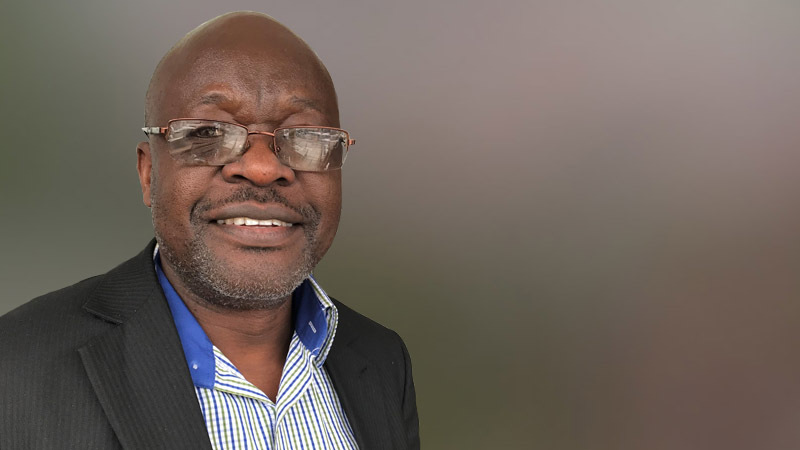 In this episode of the ADRA Canada Insider, we talk with Vincent Okello, an ADRA worker from Uganda, who was in Rwanda during the genocide of 1994 and today works as the Program Manager for ADRA Rwanda. A beautiful hillside farming community in Rwanda, the “Land of a Thousand Hills”. Rwanda has rapidly recovered from a horrific genocide in 1994, thanks in part to the work of ADRA. 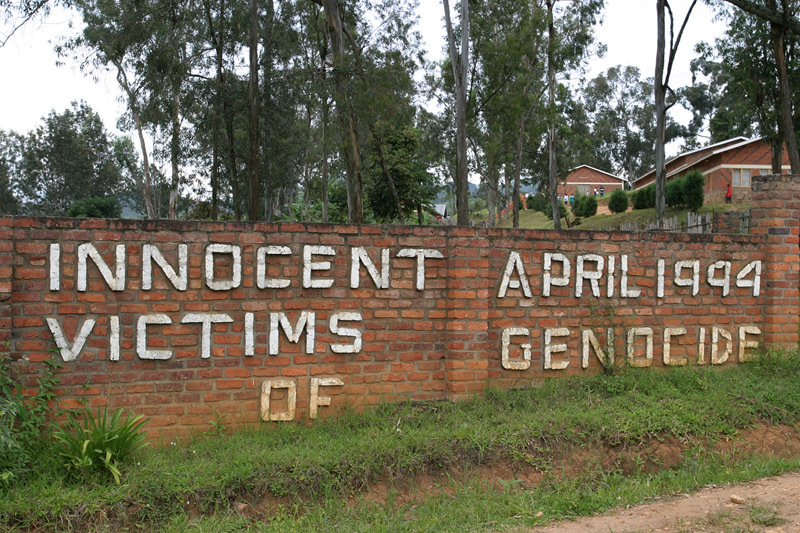 Mass grave on the compound of an Adventist hospital in Rwanda. Many victims were killed while taking refuge inside the church. 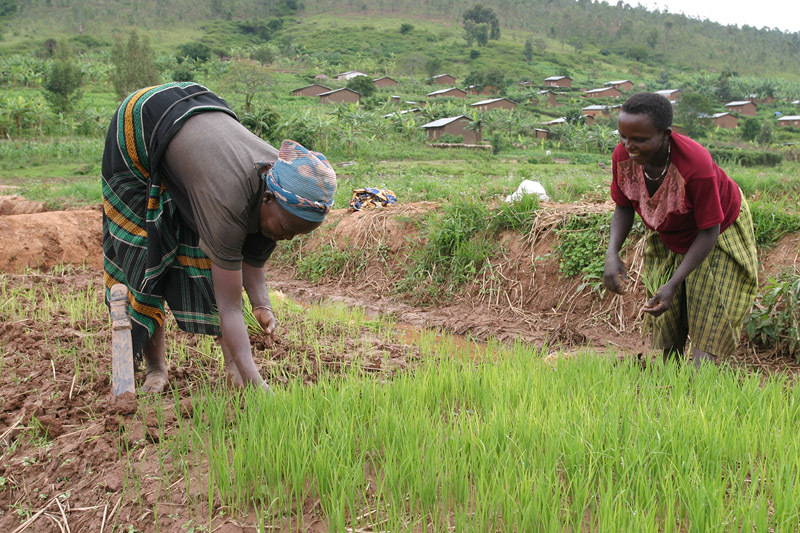 In a resettlement project funded by ADRA Canada and the Canadian government, returning refugees to Rwanda were settled in a region of Rwanda that had not been farmed before. ADRA built houses, schools, health centers and helped the people turn swamps into productive rice fields. 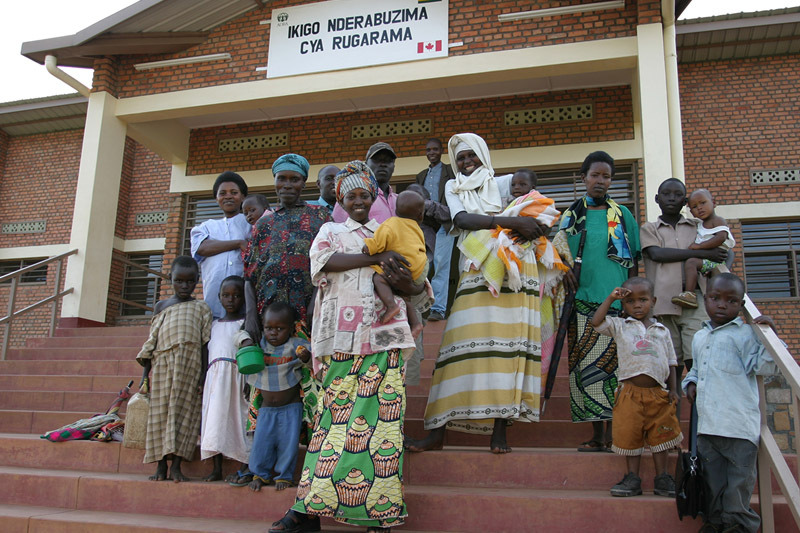 Resettled people after the genocide stand on the steps of a health center built with funding from Canada. 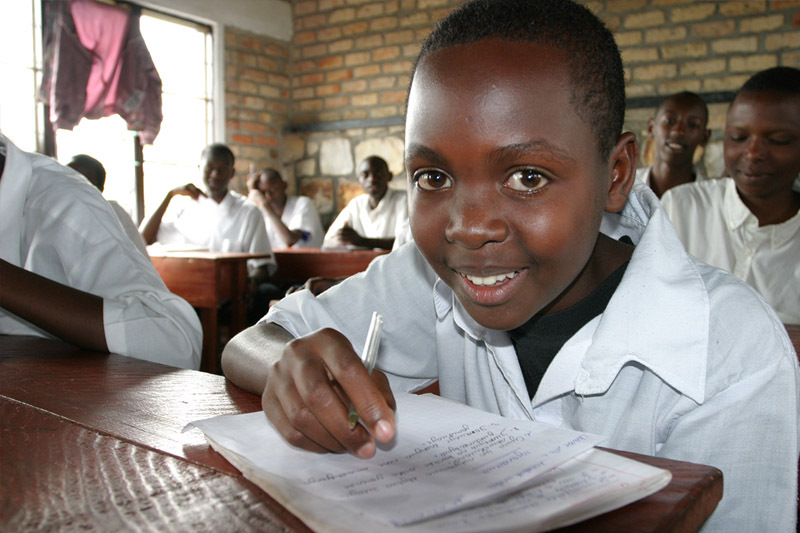 One of the thousands of students that were educated in schools built with Canadian funding after the Rwanda genocide in 1994. 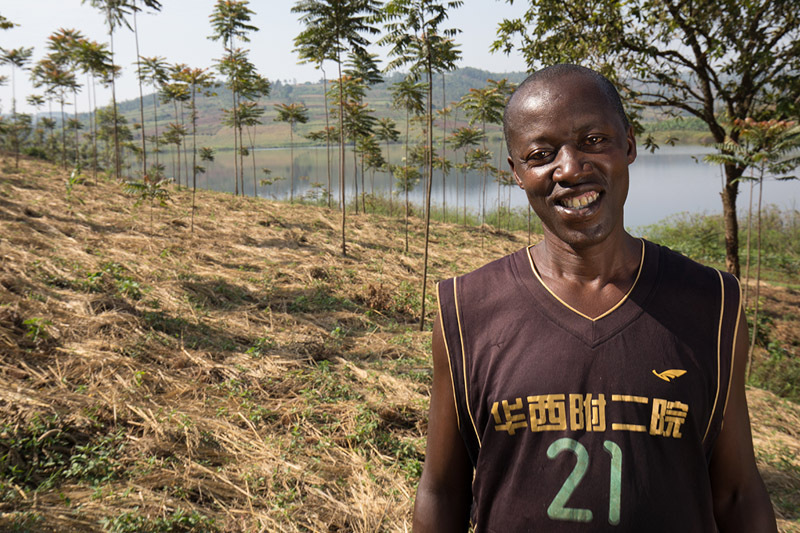 Man in Rwanda who has planted thousands of trees on his farm after joining the LEAF project funded by ADRA Canada. To see this video story, click here. 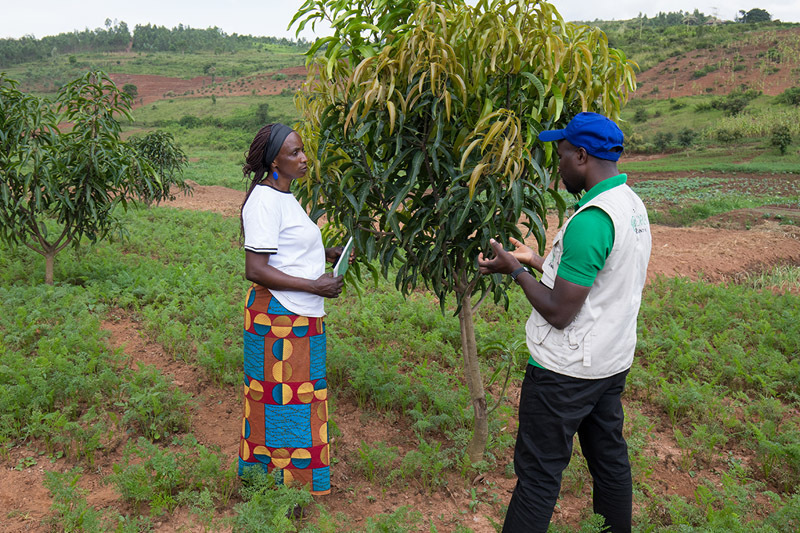 Woman in a LEAF project community garden group consults with a staff member of ADRA Rwanda. The co-op group have had a huge increase in income by switching from growing corn to vegetables and fruit trees. 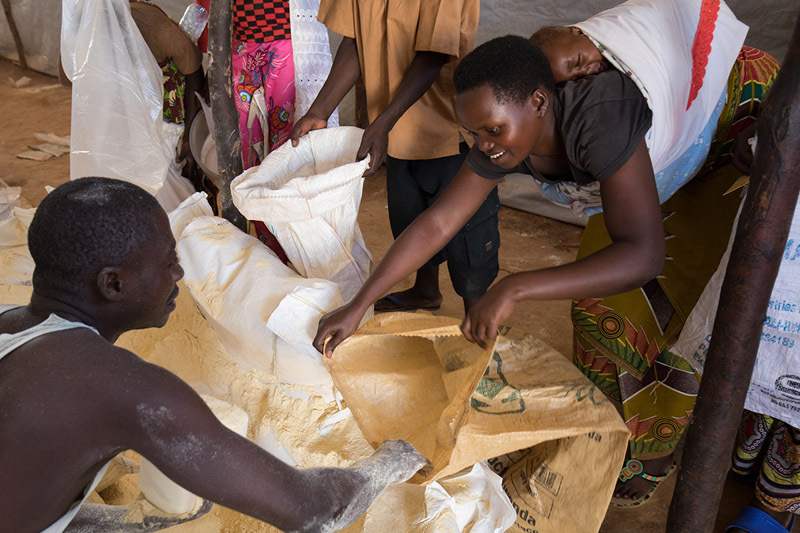 Refugees from the conflict in Burundi receive a food distribution at the Mahama Refugee Camp in Rwanda. 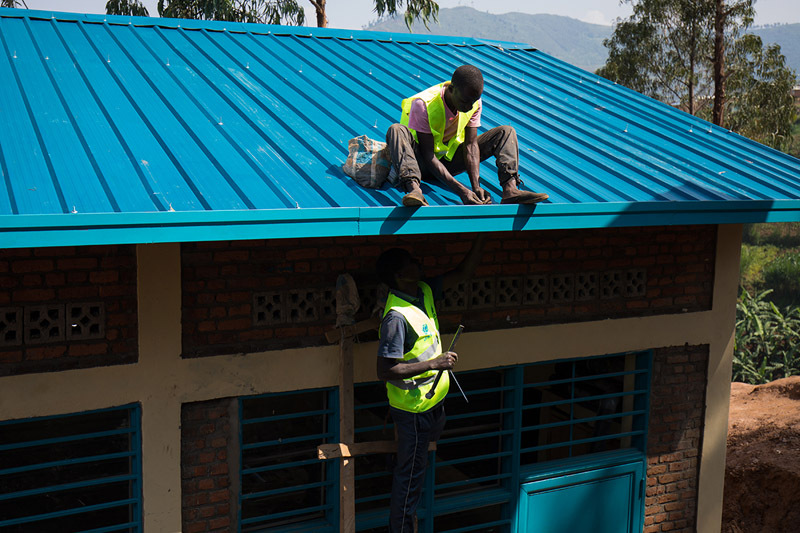 ADRA workers put the finishing touches on one of the many schools being built in the six refugee camps in Rwanda. 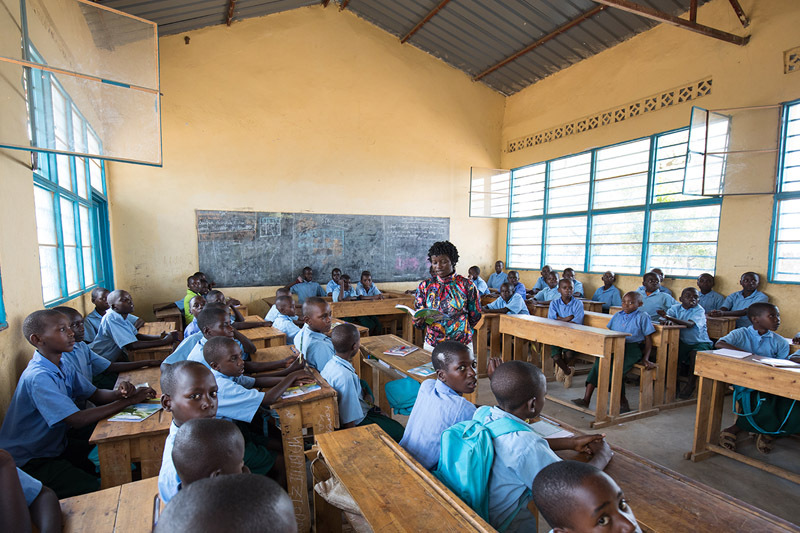 Inside one of the beautiful classrooms that are serving thousands of refugee children in Rwanda. 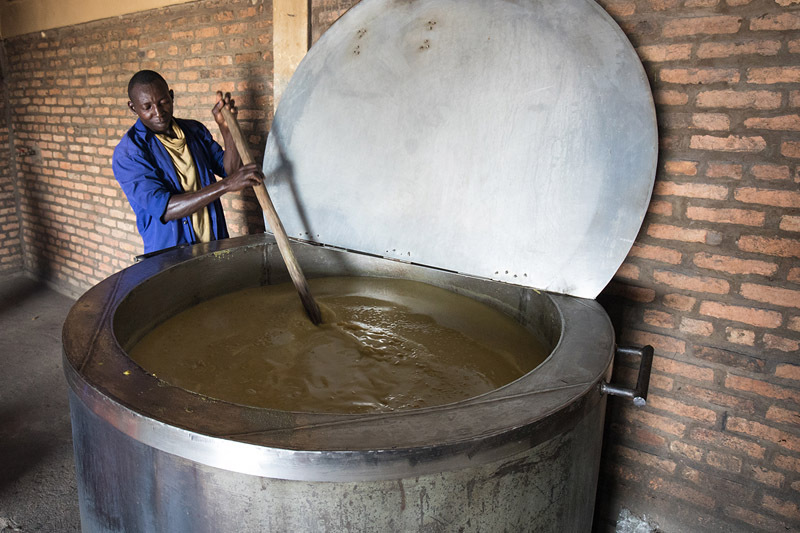 An ADRA worker cooks up a pot of porridge for students in Rwanda, part of a hot meal program that is served at refugee schools. 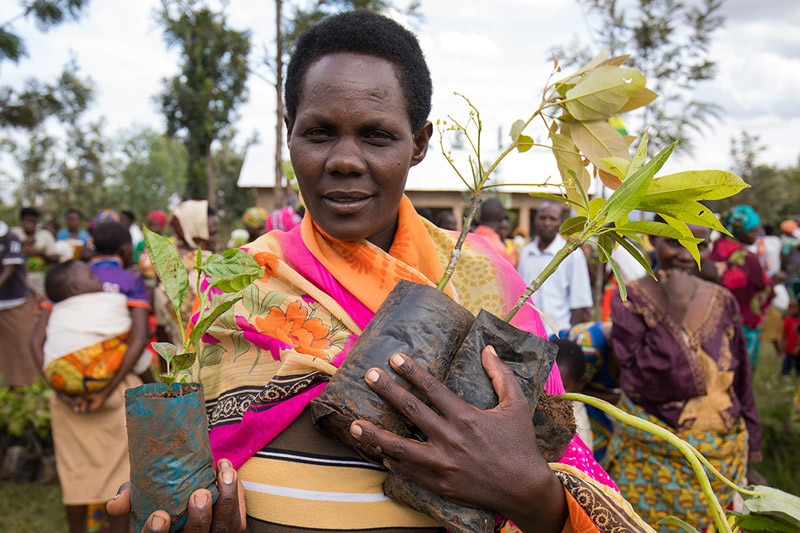 A woman in Rwanda receives fruit trees to plant by her home in a ADRA Canada funded project. 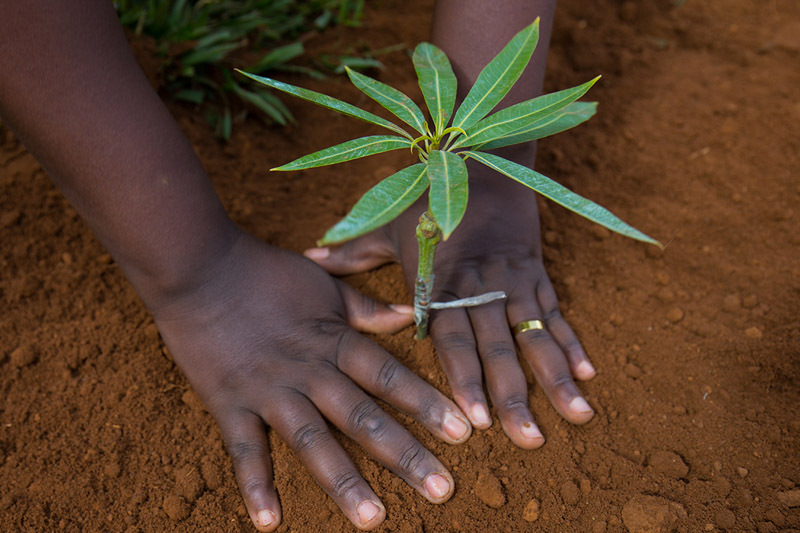 Over a million trees have been planted in Rwanda with the help of ADRA projects. 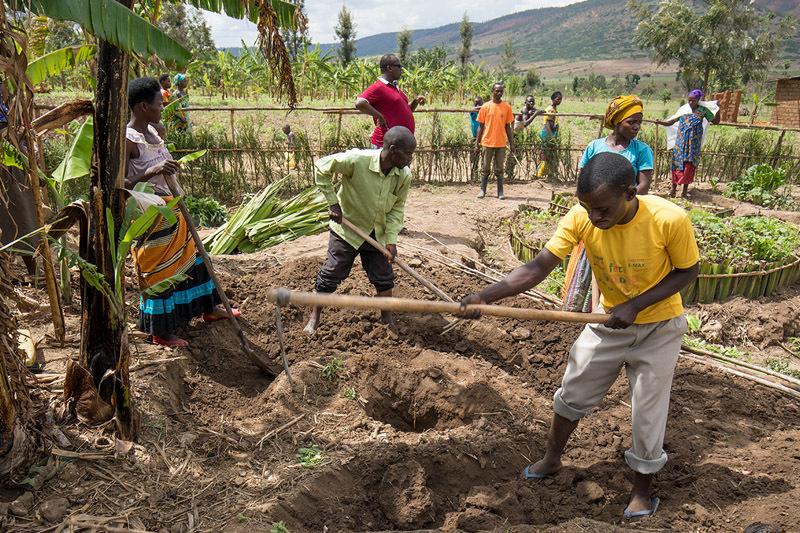 People in a co-op group in Rwanda learn permaculture techniques that help them grow vegetables year round, even in the dry season. 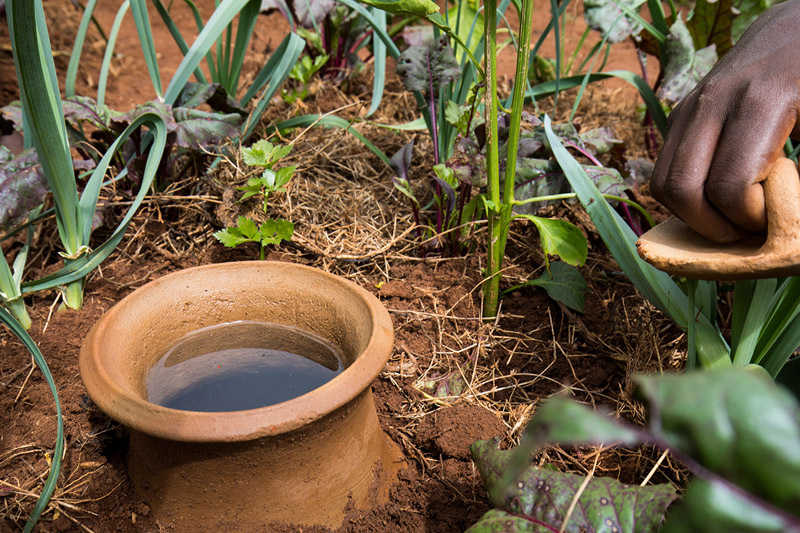 Unglazed clay pots buried in gardens in a dry region of Rwanda slowly releases water into the soil. 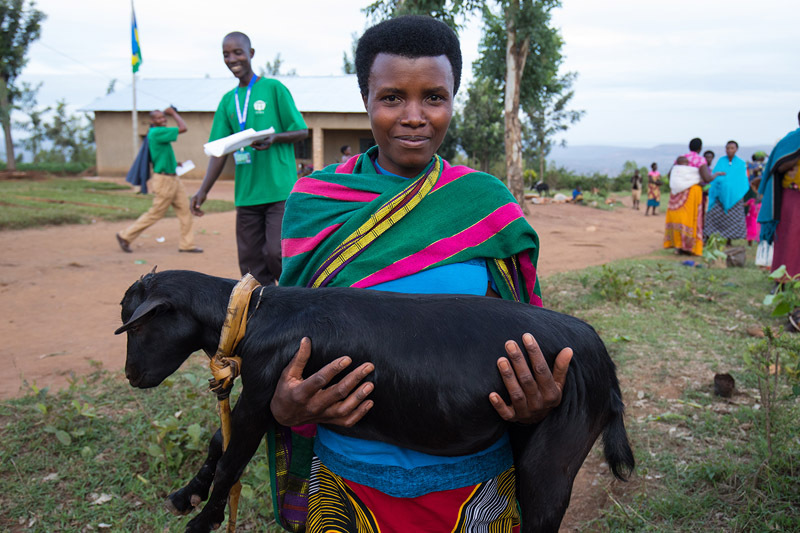 Woman in Rwanda receives a goat from ADRA. Goats provide nutritious milk, income, and a source of organic fertilizer for kitchen gardens. Woman in Rwanda receives a cow from ADRA. 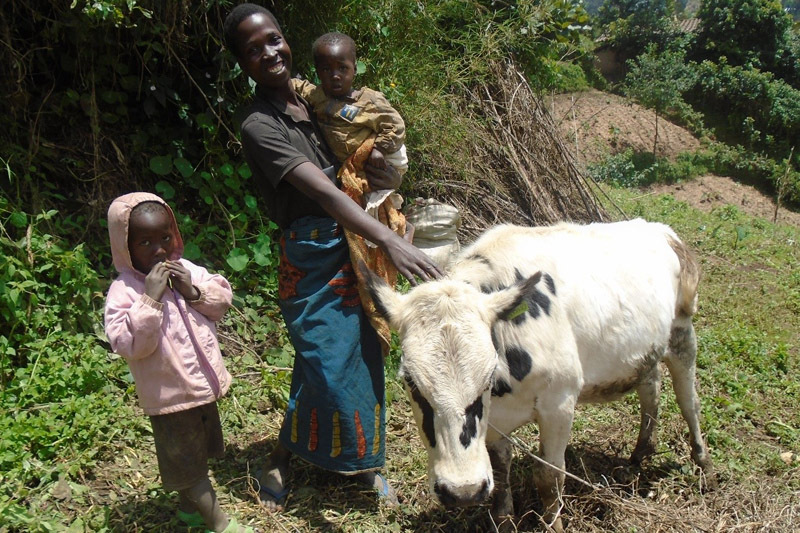 Like the goats, cow provide families with milk, income, and fertilizer for kitchen gardens. 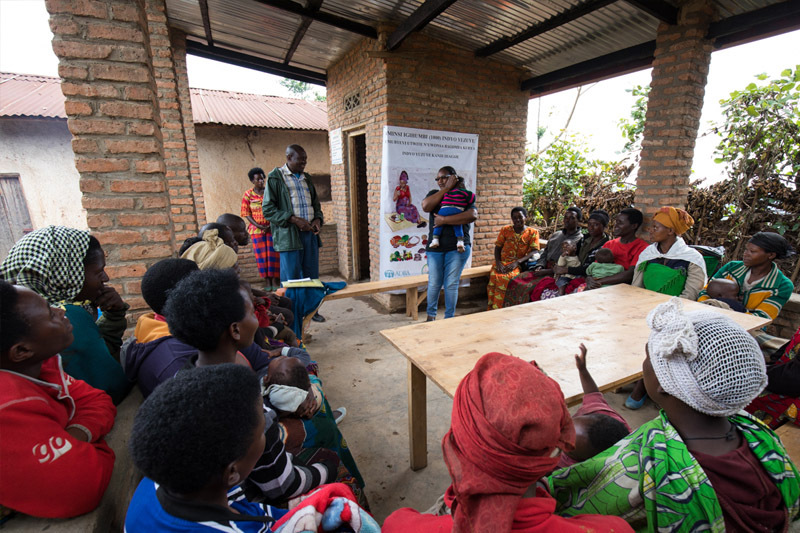 ADRA Canada’s EMBRACE project has had a major impact on the Nyabihu district of Rwanda. Once known as the district with the worst statistical indicators for malnutrition, the EMBRACE project has “turned the district around” by providing education on health, nutrition, kitchen gardens and child development. 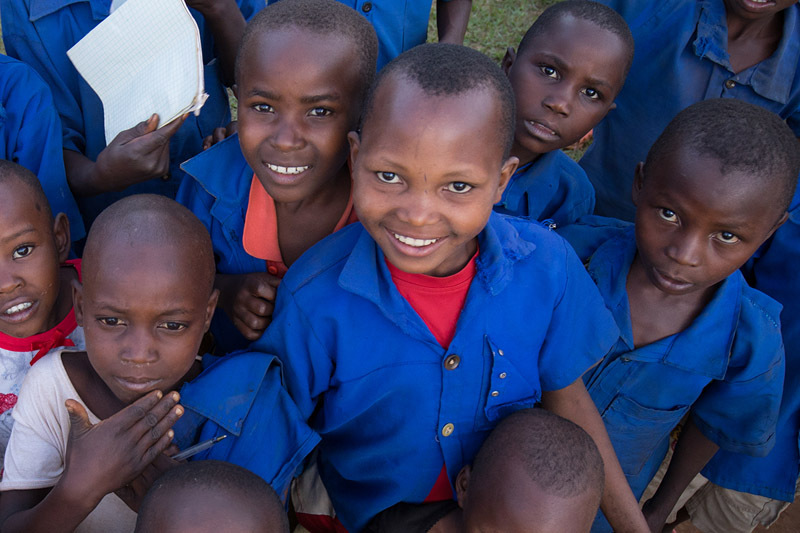 Children in Rwanda have a bright, healthy future thanks to the programs of ADRA. 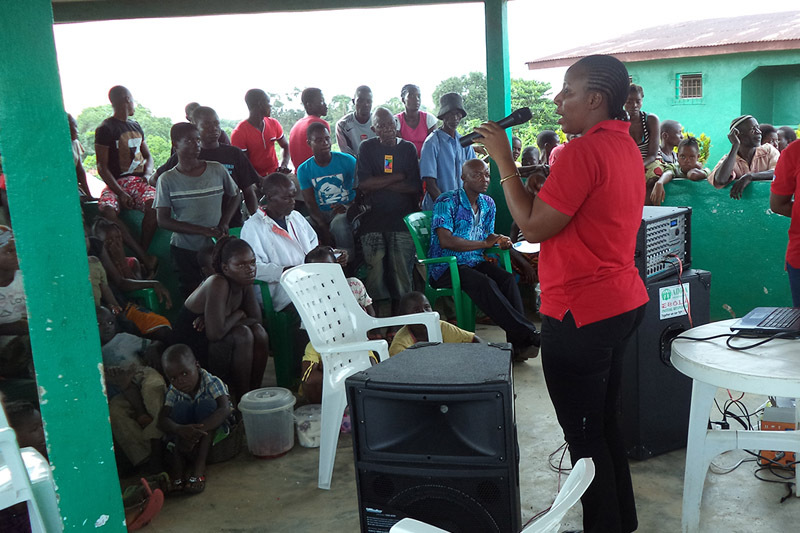 ADRA worker conducts education on ebola in a rural village in Liberia. With this kind of personalized training on how ebola is transmitted, ADRA saved many lives and the disease was eradicated in Liberia. Vincent Okello has been working for ADRA in various capacities for over 25 years. 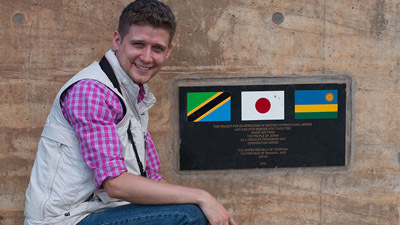 He is currently serving as the Programs Manager for ADRA Rwanda. Frank Spangler is the Communications Specialist in the Supporter Relations Department of ADRA Canada. When he is not out traveling the world filming and photographing ADRA stories, you will find him at his desk editing videos and photographs to help tell the story of what ADRA does. He also works on the website of ADRA Canada and is now producing this monthly podcast. 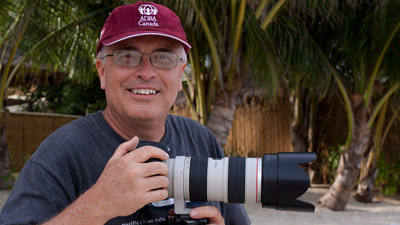 Frank has been filming and producing videos for ADRA Canada since 1989 as a freelance producer. In 2014 he began working directly for ADRA Canada. Michael Kirkby is the Design and Communications Coordinator for ADRA Canada. He is responsible for creating many of the visuals that ADRA Canada uses at events and in publications across Canada. As a graduate of the International Studies program at Canadian University College (now Burman University) in Alberta, Michael is now happy to use his degree at ADRA. Before taking this position with ADRA in 2014, Michael honed his organizational skills at an asset management firm in Toronto. Michael enjoys visiting our projects in the field and always returns with many photographs, video footage and stories of his adventures. 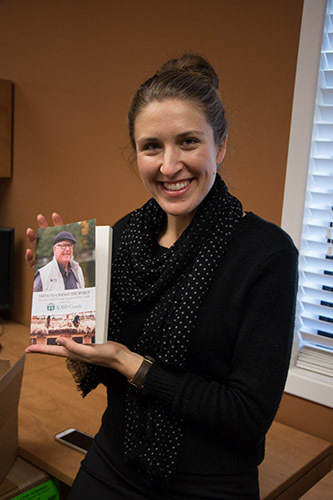 Kayla Casey is the social media and website coordinator for ADRA Canada. 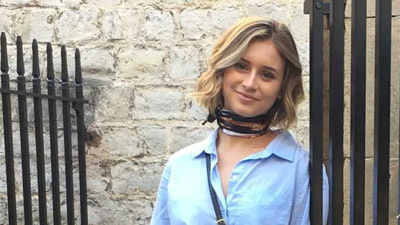 Kayla is a recent graduate of Andrews University and is actively engaged in keeping our friends and supporters up to date on what we are doing here at ADRA Canada. She is a big fan of podcasts and has helped bring the ADRA Canada Podcast into fruition.